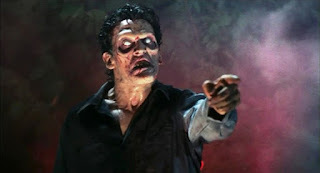 Remedial Horror: Hey, You! Let Me Cheat Off You For My Next Book Report. Hey, You! Let Me Cheat Off You For My Next Book Report. I'm looking for ideas for my next Book Report and I could use your help. Do you have a piece of horror that you'd like to find more about? If so, let me know! It can be a movie, TV show, a book, or anything horror-related about which you'd like some in-depth history and discussion. Send ideas to me via Twitter at @eviltaylorhicks or email me at remedialhorror@gmail.com between now and June 15th. On June 15th, I'll take five of the nominated ideas and post a poll for you all to vote on. The topic with the most votes by June 30th will be the subject of my next Book Report. So come on...do my work for me!